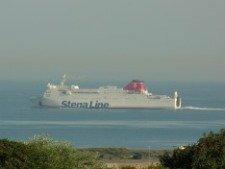 Here you can find information on the London Holyhead coach service which may be useful if you are travelling from Anglesey to Ireland on the Dublin ferry. 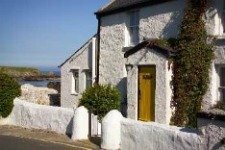 Taking a National Express coach to Holyhead from London is an alternative to using the London Holyhead train or a hire car. You will see from the times shown below that the coach timetable dovetails quite well with the departure and arrival times of the main cruise ferry service to Dublin from Holyhead Port. 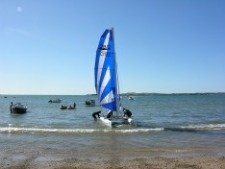 If you find that you can't reach Dublin by air from London or any other UK airport, then using the Irish ferry from Holyhead is the best alternative for the busy traveller. National Express operates a network of bus routes across the UK and the service from Holyhead Port to London Victoria coach Station is a key service for those who can't travel by car or use the Virgin Trains service from Anglesey. You will see that Eurolines coach company operates on these routes as well as National Express, and often they integrate their services to provide a seamless journey for the long distance passenger. 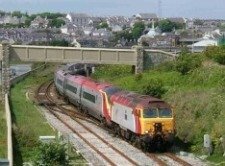 There is a daily service from Holyhead Port to London (Victoria Coach Station) with two coaches leaving Holyhead in the early hours. Originating in Dublin, the Eurolines (BE871) coach service disembarks off the Dublin Holyhead ferry and leaves the Anglesey Port at 0100. The journey has no changes and has a duration of 7.5 hours. A second slower Holyhead to London coach, Eurolines BE880, leaves the port at 0120, and changes at Liverpool. Deaprt Liverpool: 0610 - Warrington (0640) - Hanley, Stoke (0745) - London, Marble Arch (1125) - London Victoria(1135). Depart: 1500 Arrive: 0040 (journey time 9 hours 40 minutes; 85 minute wait at Liverpool- the only change.) There is a toilet on board this coach. Total journey time: 7 hours; there is a toilet onboard this coach. 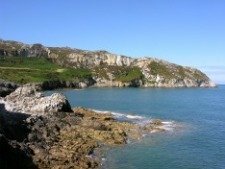 If you choose this Holyhead London coach travel service it is possible to make the booking online. You will see that there are different fares for adults, children and the over 60's. Adults may have to pay full fare tickets though you can use a Family Coachcard. There are some concessionary fares for travellers over 60 making use of the London Holyhead coach service. A Young Person's Coachcard can be used as well as a Student Coachcard and NX2 Card. For more information about your London Holyhead Coach Travel options you can contact National Express.